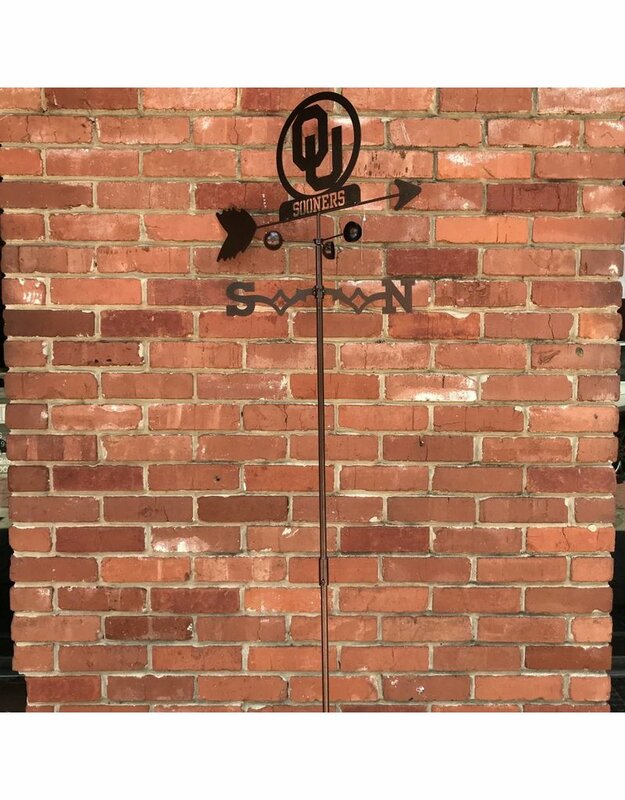 Show off your Sooner pride with this real working weathervane! Made of a strong 16 gauge steel. Top of the weathervane pivots on a strong stainless steel pin. Wind-cups have a sealed ball bearing that will spin with the slightest breeze. 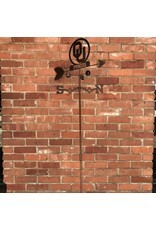 Entire weathervane is covered with coppervein colored powder coat paint. Baked on Paint.